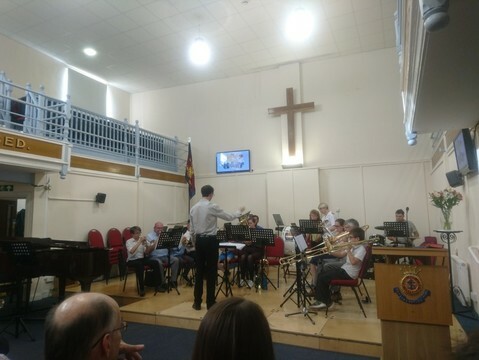 The Salvation Army Band in Canterbury, Kent recently received a selection of JP instruments from a local sponsor. Our photos below show the band receiving their JP instruments. The band received a selection of JP instruments, including JP072 Tenor Horns and JP071 Cornets. The band soon put the instruments to use, at a concert for family and friends. 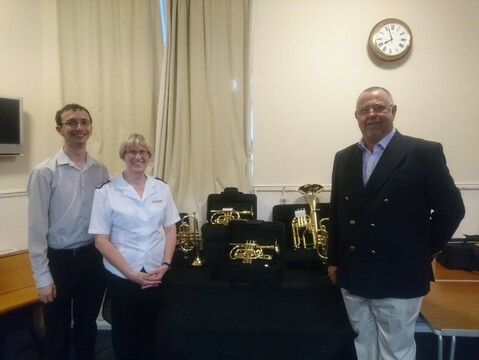 PHOTO (from left): Christopher Ward, conductor, Major Mandy Sands with David Parker of Canterbury Auction House. PHOTO: The band playing at a concert for family and friends.